From Homepage, by clicking on Register into the right side of toolbar. Confirm password - the same password as above. If everything is ok, at the end of this step you'll receive an e-mail (to the address indicated during the registration phase) containing a useful link to activate your new account. By clicking on it, you'll be redirect to the page of confirmation on Zakeke. 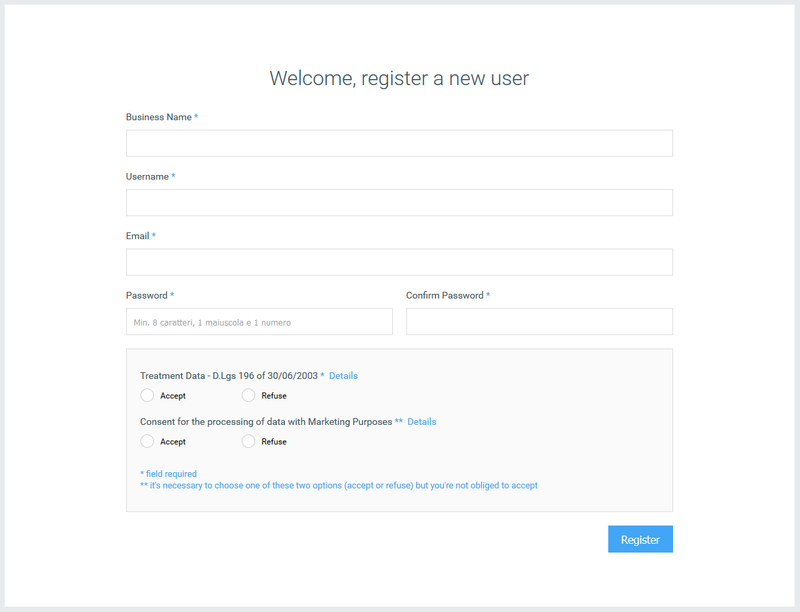 At this point, in order to enter into your BackOffice (control panel) you have to login and to insert your username and password saved before. By this way you can start managing your own account.